When you log in to the app, select a client whose campaigns you'd like to work with. 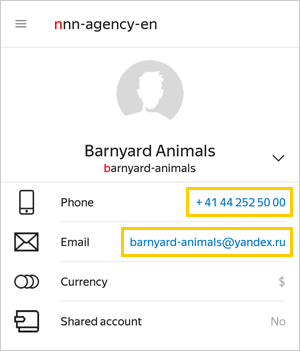 To find a client in the list using their username or name, tap . The app will display their campaigns, event feed, and client profile. To select another client, tap → on the app home screen. On the main screen of the app, tap → Profile. In the client's profile, tap on their phone number or email address. How do I select a client?What's the quickest way to contact a given client?